We offers high quality Hot Air Stenter Machine, all our Hot Air Stenter Machines works with quality features like, Automatic chain lubrication system, bow straightening system device and many more. 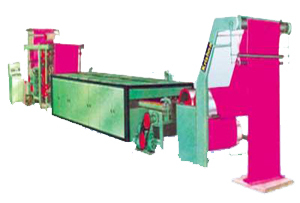 Hot Air Stenter Machine manufacturer, exporter and supplier with premium quality of machines. Hot Air Stenter Machine with high quality equipment to meet international standard. We have been manufacturing, exporting and supplying heavy duty Hot Air Stenter Machines for Textile Industry from last 25 years. Also we deal in different types of Textile Machinery Spare Parts like Rubber Roller, Rubber Fillet, Bow Roll, Banana Roller, Cloth Guider, Spare Parts of Stenter Machines, Stenter Pin Bar, Stenter Clip.